country. 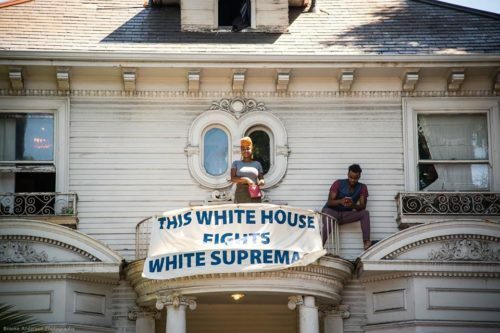 As capacity builders who are on the front lines with the organizations that are supporting and defending oppressed communities every day, we here at Roadmap are rolling up our sleeves with a renewed energy and commitment to setting the conditions that make it possible to topple elite white male supremacy. We are more than outsiders to the organizations that we work with. The vast majority of our network members come from the front lines of community organizing. Our network is 80% women, 60% people of color, and 33% queer and trans. When we step into organizations it’s like stepping into extended family. Now is not the time for tinkering around the edges. The stakes are remarkably clear. As Mary Hooks, Co-Director of Southerners on New Ground entreats us, “we must be willing to be transformed in the service of the work”. The Racial Justice Action Team (RJAT) is a dedicated team of RoadMap consultants that has worked for two years to build a home for racial justice theory and practice inside of RoadMap. The RJAT is poised as a network think and action tank to skill up our consultants, align our values and vision with our internal systems and practices, and impact the social justice sector and the funder arena through our racial justice praxis. In May the RJAT convened an impressive grouping of capacity builders and practitioners. It is currently expanding to include more members of our network and taking a deep dive to embed methodologies for a) systems thinking b) understanding the historical roots of white supremacy, c) addressing the ways systemic racism is deeply embedded in our structures and institutions, d) examining the interpersonal and internalized manifestations of white supremacy inside our organizations and e) gleaning insights learned from brain science and research about how we form our ideas and beliefs. One of the first priorities in this time is to keep our communities safe. Our Weathering the Storms program, that builds social justice resilience against opposition attacks, has touched 700 organizations and 2,500 people with webinars and trainings. 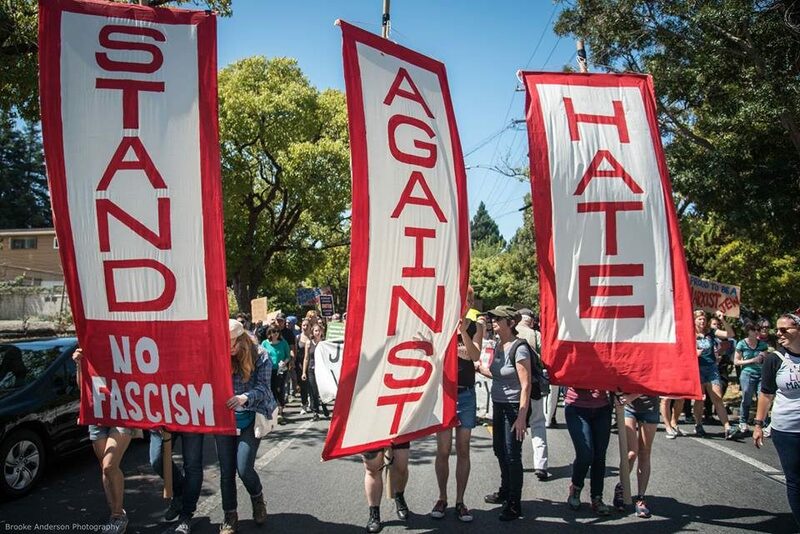 The trainings and support are tailored to social justice organizations and alliances, Muslim communities, Black-led organizations, LGBTQ, worker centers, immigrant rights, and environmental and reproductive justice organizations. Over 130 of these organizations are receiving customized direct assistance to ensure that they are prepared to avoid or meet a crisis. To see our detailed report on lessons and directions forward with WTS here Weathering the Storms Progress Report. If you are experiencing an active attack and would like to request support from the WTS Rapid Response fund click here. Our core work providing deep capacity building means that 55 organizations and leaders are receiving expert guidance to become even more strategic, effective, sustainable and resilient. Many of these groups are in the front lines of today’s resistance. What we are seeing are the growing pains of a new system coming to be, and an old one dying out. Conditions are changing and what comes next is still to be determined. If we have the power to shape it, the new systems will not use the idea of scarcity as an excuse to hoard outrageous wealth for a few while denying the very means to live to the many. Race, gender, class, ability, and immigration status will no longer determine who is on the receiving end of state or vigilante violence, or who is worthy of having their needs met and living with basic dignity and respect. Those who are materially and/or ideologically committed to the old ways of organizing society are either having a fit or struggling to maintain a semblance of control. The world is changing around them and they don’t know what to do. But we know that systems are comprised of people, and the people who are ushering this new world into view are the people in our communities, the leaders we serve every day.